…de promouvoir un cinéma rarement diffusé sur les écrans, pour créer un salutaire étonnement, faire connaître d’autres regards et d’autres cinéastes que ceux du prêt-à-penser habituel. Alors bravo – ils l’ont bien reussi. 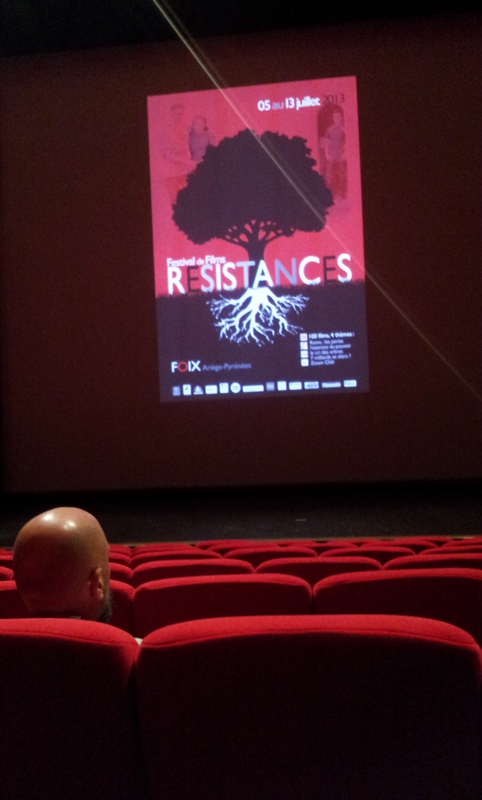 An audience member at the Résistances film festival in Foix, France. July 11, 2013. Photo Patrick Chalmers. Patrick Chalmers gives an insider's account of our media's complicity with power. An ex-Reuters reporter, he relates how getting into and out of conventional journalism opened his eyes to the realities of his chosen career. On the way he found how mainstream media, including his former employer, were far from being the public watchdogs of power they like to pretend. Quite the opposite – the bulk of their work blinds people to their powerlessness in the face of modern politics, at every layer of government. Yet this is a hopeful story, including a plan for how people can make their own media and lay claim to their political voices.